If you want to contact one of these groups please use the direct details below rather than via Love Stafford. Fountains is a voluntary Christian organisation staffed by qualified volunteer counsellors who are members of local Christian churches in Stoke on Trent, Stafford and Cannock. The service is available to adults of any faith or no faith. Our counsellors are experienced in areas of anxiety, stress and depression, loss and bereavement, anger and abuse. For an appointment please call 07980 387847. Appointments can only be made by calling this number. For further information please see our website: www.fountainscounselling.org.uk. 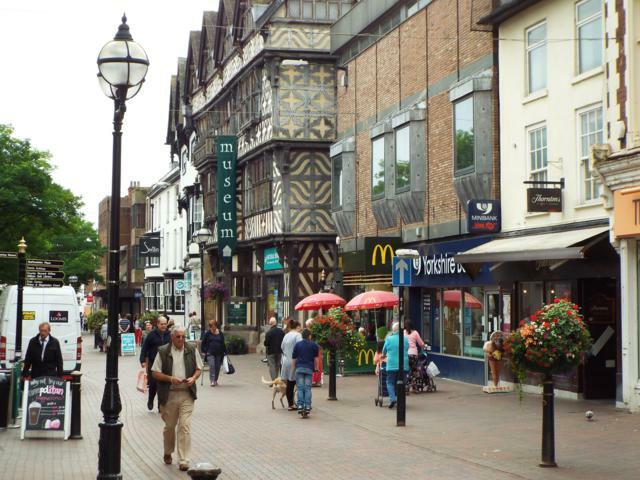 House of Bread (HoB) is an independent Stafford based charity that offers a wide range of services for homeless and vulnerable people in Stafford and surrounding villages. Each week we provide a home cooked meal, clothing, toiletries, advice and support in a safe and welcoming space. The organisation continues to grow with three drop-in sessions each week, a bible study group, mental health support group, music activities, woodworking and a community garden. Ask any of our Friends and they will tell you, it isn't a house that makes a home; it's the family inside it. 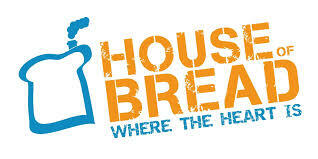 House of Bread is like a real home; we eat together, laugh together, cry together, share success and support each other in times of crisis. 124 Centurion House, Anson Court, Staffordshire Technology Park, Beaconside, Stafford, ST18 0GB. Since 1989 Question Mark Dra ma Group have been visiting local primary schools and running drama workshops with year 6 classes using Bible stories. A play is written based on an Old Testament or New Testament story, and everyone in the class has a part to play. The Question Mark team (6 or 7) arrive at school at 8.30 am and set up the scenery and have a prayer time. They meet the class at 9 am and put the children into small groups. The groups (narrators, actors, dancers, puppeteers, etc.) practise their parts until 10 am. Then the whole play, which contains lots of humour, sound effects and colourful costumes, is rehearsed twice. At about 11.15am the class present the play to the rest of the school, followed by an appropriate song with signing. A member of Question Mark draws the morning to a close with a prayer. Question Mark is really privileged to be welcomed into all the local primary schools. Prayer support is vital. For more information on this or joining the team please contact Kate Bagnall on 07516916438. 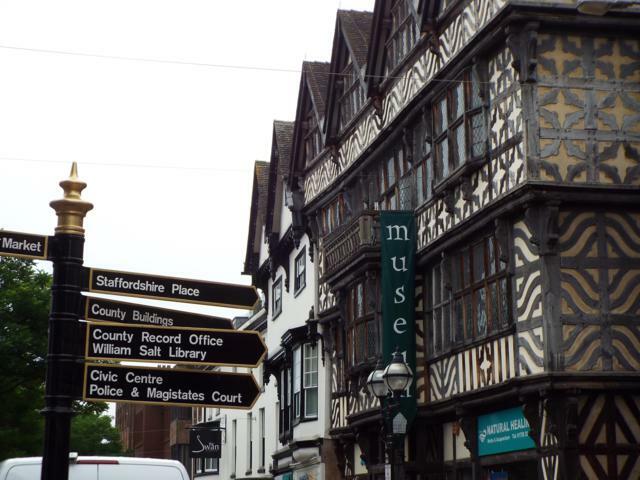 The core ministry of Stafford CAM is to produce a bi-monthly sixty minute programme of Christian magazine items and worship presented free on a CD. The service is primarily for people who can no longer attend a local church, but is also made available to anyone who wants it. We now have a ‘family’ of over 250 recipients. We offer listening, caring and practical help to anyone on our streets between 10.30pm and 4am every Friday and Saturday, also some Bank Holiday Sundays and other busy occasions: Mingling with those enjoying an evening out, engaging with anyone who wants to chat and looking out for those who may be vulnerable – providing flipflops, water, space blankets and lollies etc. for those in need. Sharing our faith when asked, we are amazed by the openness of people, eager to know more about our beliefs and motivation. Well respected by Door staff, Police, Paramedics and the Borough Council for our professionalism and caring attitude, we are now regarded as necessary - which is amazing for a Faith organisation whose motivation is to demonstrate God’s Love! The Youth Net is about churches, schools, children and young people. We have two areas of work. To support local churches in their delivery of children's, schools and youth work by offering advice, resources, support, mentoring, training and networking opportunities for church leaders, paid staff and voluntary workers. 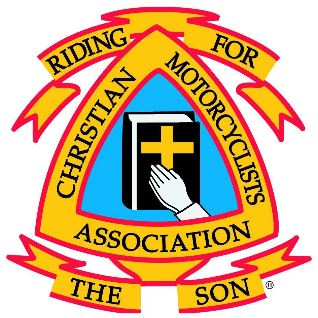 To support local churches in their interactions with schools. On a Secondary level we head up a schools ministry team working with local youth workers to deliver lunch time groups, RE and PSHEE lessons, workshops, alternative curriculum, Sacred Spaces and conferences. On a primary level we work with the local church to offer larger scale events and to train and resource volunteers. For any other queries please don’t hesitate to get in touch. The Signpost Centre , based in Highfields, was set up by members of Rising Brook Baptist Church in July 2007. We provide hospitality, emotional support and advice to members of the community in need of help and support in ways that are respectful, kind and friendly. This community well-being project holds to a Christian ethos which recognises that all are equal in the eyes of God, that forgiveness and reconciliation are possible when hurt and damage have been caused and that bringing peace and joy to people's lives is part of the Christian calling. We offer Christ's love to our neighbours, welcoming anyone who needs friendship or help and we guide them towards a happier future. Signposts welcomes people of all faiths and none. We run a number of projects that target the causes and effects of social isolation, support those suffering from anxiety and depression, empower the unemployed to re-enter the job market and provide parenting support and children's holiday activities. Oasis is a group of people who offer support in Stafford to families who include a child with disability. The main priority is to meet families just where they are, totally accepting the child with disability and embracing them as a complete and perfect family thus enabling them to enjoy time together through the activities and events we provide. Help offered includes a practical and emotional support network, helping families access church activities, sharing ideas, fundraising and prayer. Our aim is to distribute Bibles to give people the opportunity to read it for themselves, perhaps for the first time, and to discover God in a personal way. The Gideons place Bibles or New Testaments in many areas including schools, hotels, hospitals, care homes, medical centres, student accommodation, prisons, etc. In addition we make personal presentations of God's Word. Each year we present personal copies of the New Testament and Psalms to children in thousands of British secondary schools and to many university and college students. We make personal presentations to medical personnel and uniformed services - Armed Forces, Police, Ambulance and Fire. We place New Testaments at hospital bedsides. Bible Society is working to give to every person across the world the joy of hearing God’s Word to each one in the language of their own hearts. We believe that the Bible transforms individual lives and transforms societies when the relevance and power of the Bible is set free. Bible Society achieves its mission through Bible availability, accessibility and credibility. 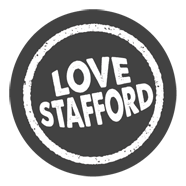 Bible Society was founded in 1804 and the Stafford Action Group has been supporting their mission for over 200 years. Stafford Action Group not only raises money for Bible Society but is also a passionate advocate for the Bible, encouraging local churches, Christians and schools to value the Bible as the Word of God and to live by its teachings, and then even to embrace and believe the Gospel of hope in Jesus Christ. The Bible shows us all how to LOVE STAFFORD as GOD LOVES STAFFORD. Prison Fellowship believes every prisoner should have access to support and prayer. Our mission is to show Christ’s love to prisoners by getting alongside and supporting them. 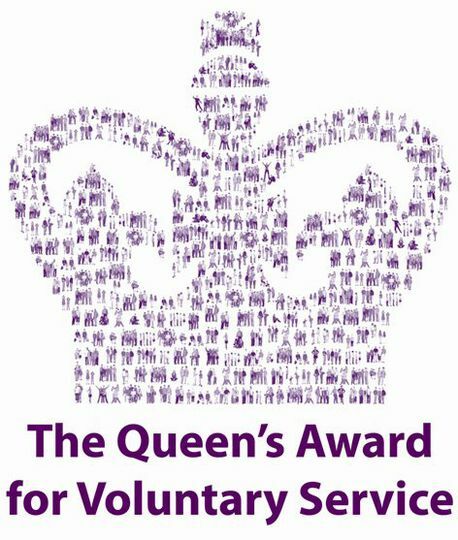 Through our network of over 2,400 volunteers across England and Wales, we work towards the restoration of offenders, victims and communities. Join in the monthly prayer times for HMP Stafford at Rising Brook Baptist Church. 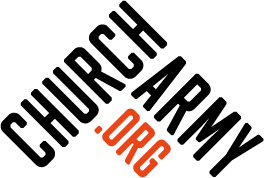 The Church Army is a mission-focused community of people who are committed to enabling and resourcing the church and its members to share the gospel. Our vision is for everyone, everywhere to encounter God’s love and be empowered to transform their communities through faith shared in words and action. Everything we do is underpinned by our values: we are prayerful, expectant, risk-taking, generous, collaborative, accountable and unconditional. Our evangelists and projects work across the British Isles and Ireland to share the good news of Jesus in a variety of contexts and reach out to communities in ways that help them live life to the full as we seek to transform lives with the gospel. We work with the homeless, the marginalised, those battling addictions, young offenders and other marginalised groups. We serve communities, work with children and young people and help the shut-in elderly. We are also committed to building new forms of Christian community to reach people who have little or no experience of church. We work tirelessly to live God's love with those whom we serve. Trent Valley Filling Station is a new expression of worship and meets on the second Thursday of the month. It provides a warm welcome, a friendly informal atmosphere and an opportunity for contemporary worship and prayer in a cafe style environment with good tea and coffee and a great speaker. Everyone is welcome and meetings are held in Stowe By Chartley Village Hall. For further information please contact Derek Pamment on 01889 505190 or e mail modernisation@btopenworld.com. The Meltdown ministry began in 1989 with the formation of the UK's first Christian heavy metal band, and are now one of the most pro-active Christian ministries in the world for reaching out to people who enjoy rock and metal music. Jesus died for everyone, including those people ignored by the church due to their taste in music or cultural preference. We engage in the rock music scene with Christian bands in order to deliver the message of the Christian Gospel. We also offer world class ministry training for people who use music as a means of outreach via our "In-Tune" training course. Our seminar speakers and Bible teachers have a proven history of being used by the Lord through the use of music in all rock music genres. Meltdown are members of the Evangelical Alliance and are a charitable limited company.